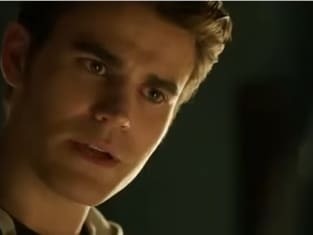 Besides Caroline having the twins, have we ever seen a vampire in a hospital bed? What can possibly be going on here? Is Damon sick? (And if so, how!? Why!?!) Or are the brothers just plotting something? Hmmm. 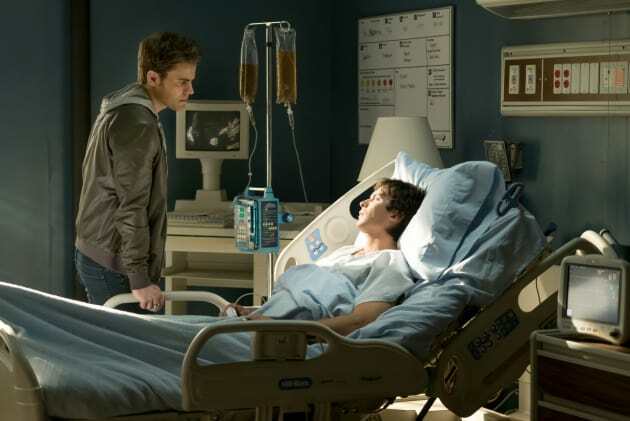 The Vampire Diaries Season 8 Episode 8: "We Have History Together"
Damon: Clarity over cleverness. That's what I always say. Stefan: You've literally never said that before. Permalink: You've literally never said that before. Damon, I work for the Devil. I don't have to play fair. Permalink: Damon, I work for the Devil. I don't have to play fair. The Vampire Diaries Photos: Meet the Teacher!